Lots of online poker pros are unhappy with the VIP program changes at PokerStars, which include eliminating many rewards for high-volume players. But nobody has quite taken the stance that high stakes phenom Alex ‘Kanu7′ Millar recently did. I’d like to apologise to the players for my complete failure to be able to help in any way with the recent pokerstars VIP changes. With @RealKidPoker eventually failing as well I no longer feel I can represent the company and I have now left Team Pro Online. Shortly after tweeting his decision, Millar was embraced by fellow poker players who strongly dislike the changes. But while Kanu7 was appreciative of the support, he wasn’t reveling in the support either. “Thanks for the messages of support, I would reply individually but don’t want to act like this is a celebration when it’s really a failure,” he tweeted. 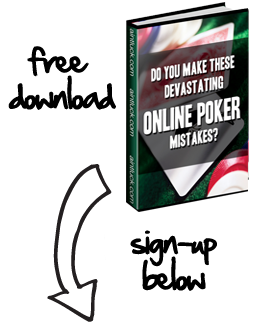 Millar is a guy who’s gotten rich off the high stakes games at PokerStars. Up to 2015, he’d collected almost $3.3 million in profits according to HighStakesDB. However, this has been one of his worst years ever because he’s lost more than $136,000 on the tables. The good thing is that he has VIP benefits to fall back on this year; however, starting 2016, Millar won’t receive any high stakes rewards or have the option of attaining Supernova Elite status. So it’s likely that these two factors strongly played into Millar’s decision to quit Team PokerStars and voice the strongest protest yet.